We will provide you with a free and non-binding estimate immediately! Speak to our 24/7 customer support centre at 020 3746 1366 or via our online form here. We provide the business owners and people situated in Graveney CR4 with the highest quality deep carpet cleaning in the area. Ashlee House Cleaning has been offering professional dry foam carpet cleaning and steam carpet cleaning for over a 10 years. All of our cleaners are hand-picked after personal recommendations. They are police background checked, trained and experienced in using our modern professional carpet cleaning equipment, tools and solutions. Our prices are fixed and affordable. We will not charge you extra hidden fees. We can clean any type of carpet or rug, and offer carpet spot and stain removal of various stains, such as: paint, rust, oily stains, blood, wine, tea, coffee, vomit and can repair moth damage on your rug or carpet. We can provide one off or regular cleaning for properties as well. We use the most efficient carpet cleaning methods to guarantee that your rugs or carpets are properly cleaned, the dust mites are killed and removed and that all the dirt and residues are gone, while at the same time - the carpet remains undamaged and safe. Every carpet cleaning starts with an assessment, testing of the detergents and hoovering. Only after that our professional carpet cleaner will proceed to deep clean the carpet. When steam carpet cleaning is performed, the cleaners use a professional hot water extraction cleaning machine. This technique is best for resilient fibres. For more delicate materials, we offer dry carpet cleaning in Graveney. Our cleaners use special instruments to apply special dry compound cleaning foam in the fibres of the carpet. The dry cleaning solution is left to stay there for some time and after that it is removed with a vacuum cleaner. Together with it, any dust or residues are taken out. Our deep carpet cleaning is suitable for both synthetic or natural carpets. We are a professional cleaning services provider which is highly interested in achieving 100% customer satisfaction. We spend most of our financial resources and time in making sure that our carpet cleaners in Graveney CR4 are properly trained and well equipped with modern cleaning tools and machines along with Prochem eco-friendly and safe cleaning solutions. Our carpet cleaning service is carried out in compliance with our safety and quality procedures. We can have all carpet types cleaned safely and properly, even the most delicate ones, such as luxurious Persian rugs, antique rugs or silk rugs. We offer fibre protection upon request through the use of a powerful stain protection spray after the cleaning. To get the top customer support service and the finest carpet cleaning in the area, book our professional rug and carpet cleaning service right away! 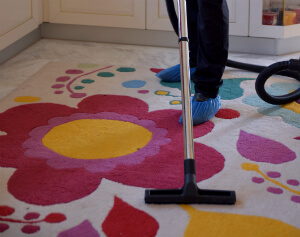 We are the recognised carpet cleaning experts in Graveney CR4 due to our affordable prices, easy booking procedure and the quality of our services. Please, contact the customer support staff at 020 3746 1366 or online here. Order our service for any day of the week. We offer convenient weekend and public holiday cleaning. We can come for an emergency cleaning on the same day, but you will get a better price for early bookings. Preferential prices are given to all our regular clients, as well as to the local landlords and estate agencies. Enjoy our top quality service and amazing prices and book us right now!